Yarn and Fiber Happenings: Join us this weekend! 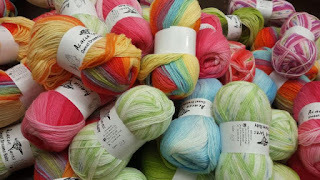 The Yarn and Fiber Company is having a weekend fabric sale! Join us this weekend! The Yarn and Fiber Company is having a weekend fabric sale! This weekend event features the vintage collection of quilting fabric that we have acquired. As we continue to work through the remaining boxes, more and more beautiful fabric refreshes the totes that we already have available for you! Come and pour through the fabric and build your next quilted treasure. You should plan on spending a few hours as the selection is amazing. These prices are below wholesale on most items. Come early!